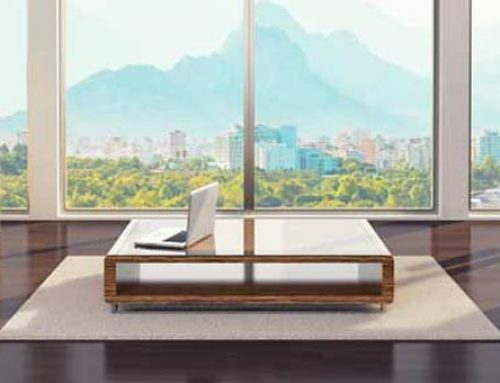 Have you ever just wanted to watch TV in another room but didn’t want to rent another set-top box from the cable company? Your main TV is in the living room and you only have one cable box, but you want to entertain friends out in the patio or you want to watch TV in the kitchen. So, you call the cable company and ask them how much an additional set-top box will cost. They give you some ridiculous price, and you hang up on them… been there, done that. 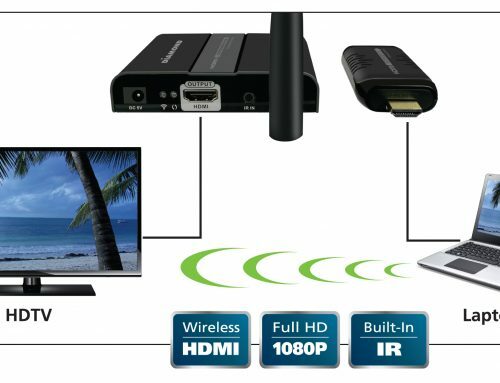 Now, you can wirelessly stream video to any location in your home or office with the Diamond V-Stream VS200VR – HDMI Wireless AV Video Sender/Receiver. Use the Transmitter to connect your main TV set. 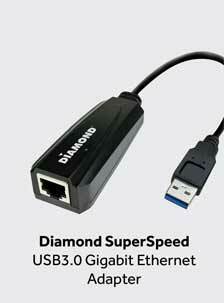 You can also connect to your laptop, PC, game console and set-top box. 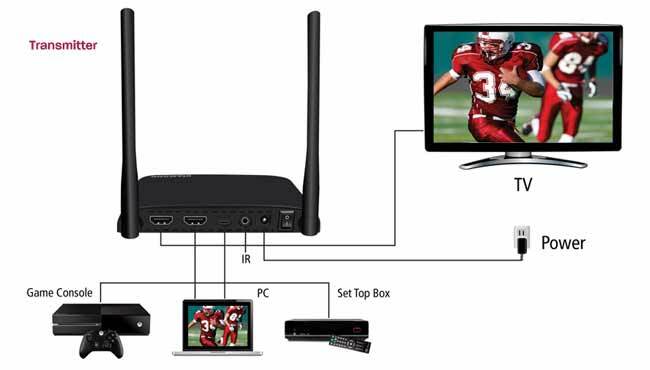 Now you can send video using only one cable box, to that extra TV you have in another location. 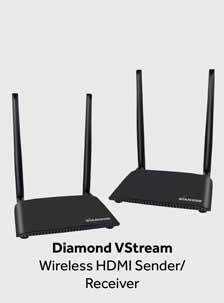 The Diamond V-Stream VS200VR receiver has the capability to wirelessly receive an HD-video signal from 500 feet clear line-of-sight; streaming in full HD 1080P. In addition, the Diamond VS200VR also allows you to plug in USB game pads, mice, and keyboards for full control over a PC/Media server. We’ll get into this a little later. But, what I love most about the Diamond V-Stream VS200VR, is the fact that I can get the same great quality on the receiving TV as I’m getting on my primary TV. Streaming in Full HD 1080P really makes the difference, in my opinion. There’s absolutely no sacrifice in quality. I can enjoy the same football game or TV show with the same quality I’m getting on the TV in my living room that’s hooked up to the cable box. And the best part is I’m not paying that extra monthly fee. Another truly awesome feature of the Diamond V-Stream VS200VR, is the VR support. The transmitter can send video and audio to any mobile device with WiFi capability. Download the free TX Player app available from the Apple or Play Store, and you can play games using the split-screen VR mode with any standard VR glasses. 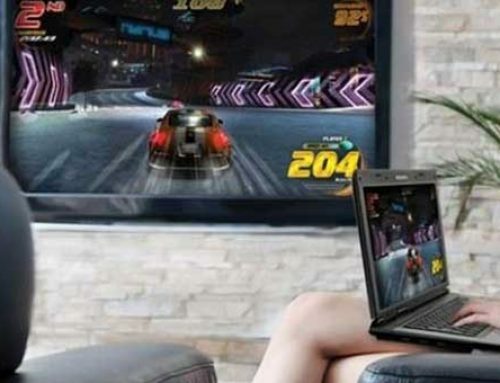 Of course, you can always play your games, wirelessly, on a large screen TV. 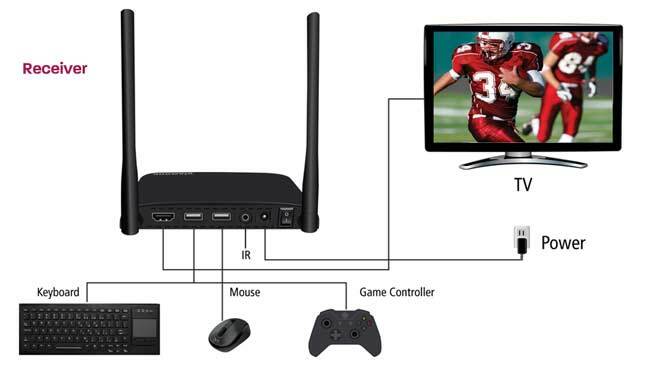 Just connect your PC or game console to the transmitter and send video and audio to the receiver. The game can now be played on a larger screen TV in another room. 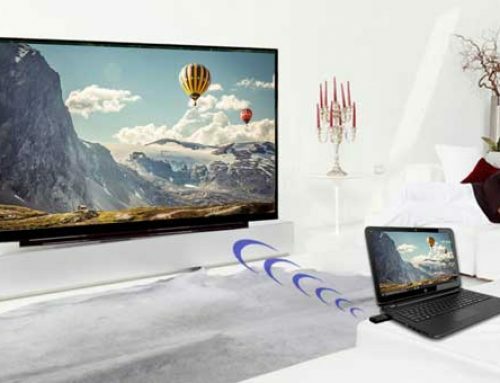 The Diamond V-Stream VS200VR, simply lets you enjoy more freedom when it comes to your TV. 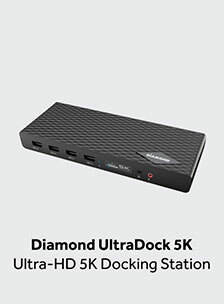 The awesome entertainment/value ratio to your home or office is what you will notice with this latest device from Diamond Multimedia. 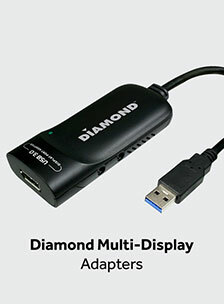 For more information on the VS200VR, as well as other innovative PC solutions, simply visit diamondmm.com.